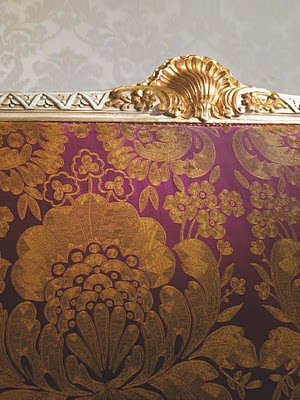 Lacquered decorated lounge, expression of the Louis and Rococo Style Transition(1750 – 1770). 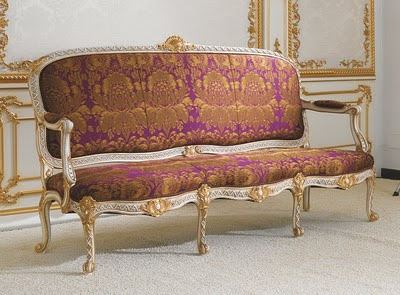 All the details are finely hand – carved out of solid wood and set inlays and decorations of supreme perfection and refinement. 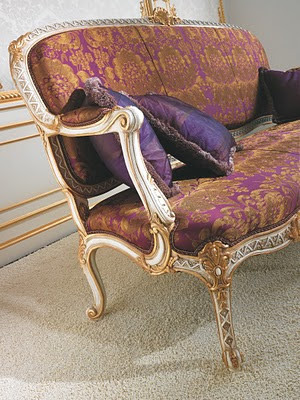 The precious ivory lacquering with French patina, enriched with antiqued gold leaf foil finishing, frames the fine elegance of the golden and purple silks. 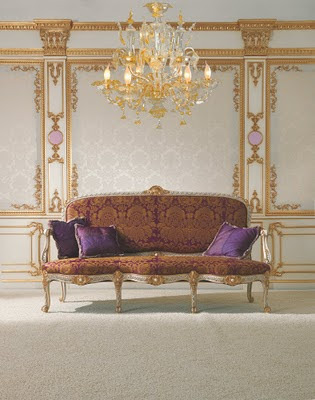 The antique table with pink Portuguese marble completes the refined style of this model. 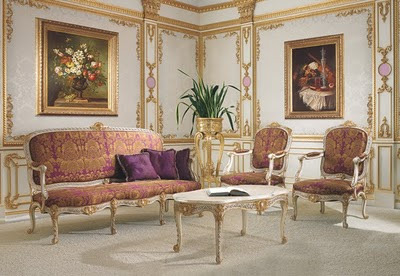 see also Italian lounge sofa set expression of the 18th century.